I'm sure you dolls have heard by now that Kelly Osbourne's ridiculous manicure for the 2012 Emmy's was a whopping 250K. Is that necessary? Even for a polish fein like me - that's obscene!!! And In case you're wondering why a nail polish would ever be worth that kind of money, it's because it's made out of 267 carats of black diamonds. But, if you admired Kelly's black diamond manicure, and actually live in the real world - try Illamasqua's Creator. 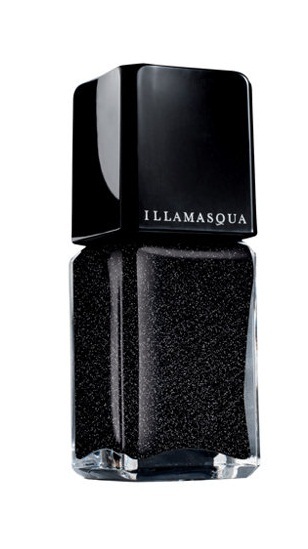 A starry black polish that mimics the night sky. And you will only have to shell out $14 vs. the price of a new home, or your kids college fund. That is totally crazy, but I do love your dupe!